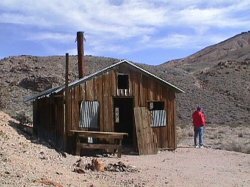 The Inyo Mine is located inside Death Valley National Park, up Echo Canyon. 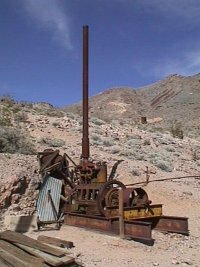 The dirt road to the Inyo mine is pretty tame, you could get away with taking a passenger car up to it. However, we took the back way out, over the Funeral Mountains to the Amaragosa valley. 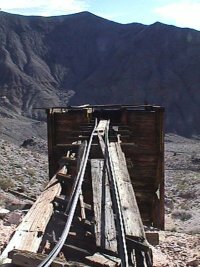 It was rough in spots, but man, was it fun! 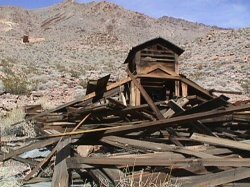 The Inyo mine has lots of ruins left at its site. 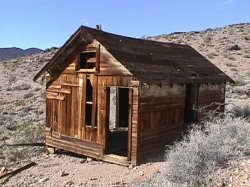 There are several standing wood cabins (and several fallen ones). 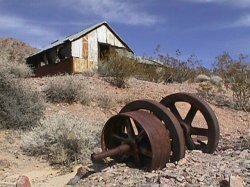 There is quite a bit of the old mining machine ruins as well! 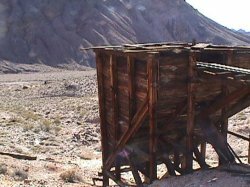 I would have to say that this is the most intact ghost town we have visited within Death Valley. Then again, we havnt been to them all yet, we might change our opinion at a later date!